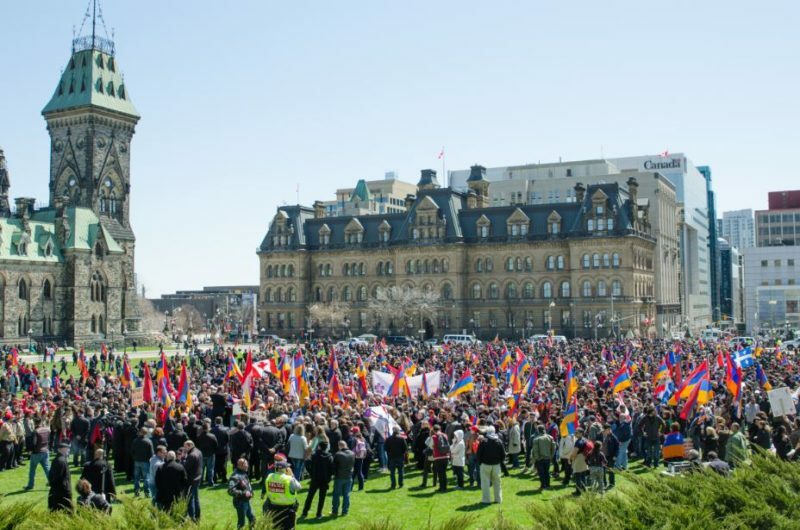 Ottawa –Thousands of Canadians from across the country will gather in Ottawa on Sunday , April 24th to commemorate the 101st anniversary of the Armenian Genocide a nd demonstrate against the Governm ent of Turkey’s ongoing denial of the crime. 101 years have passed since the start of the Armenian Genocide, the first genocide of the 20th century. Through the efforts of the Turkish Government, the crim e has gone unpunished. The families of victim s have not been compensated and virtually all Armenian material, cultural and religious wealth, and all rem nants of the flourishing indigenous Armenian civilization of thousands of years remains confiscated or ruined in Turkey. The demonstrators will first gather at the steps of Parliament Hill on Wellington Street, where they will thank Canada and the Canadian governm ent for their ongoing r ecognition of the facts of 1915, but will also call upon the government to exert pressure on its NATO ally, Turkey, to come to terms with its past and to put an end to its ongoing policy of Genocide denial. 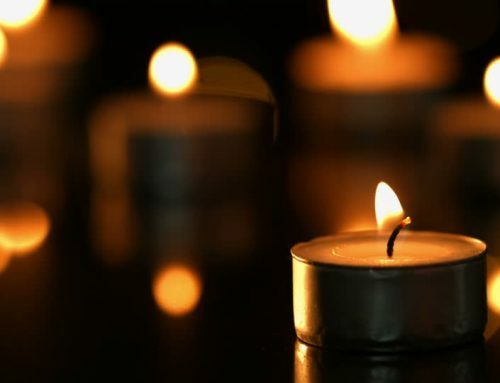 The demonstrators will then ceremoniously march via Rideau St. to the Embassy of Turkey where they will stage a protest against Turkey’s ongoing denial policies and hum an rights violations, dem anding justice for the 1.5 million victims of the Armenian Genocide. 2015 marked the centennial of the Armenian Genocide, where m illions of Armenians from around the world stood in unison to dem and their rights and to obtain condemnation of the crim es that were perpetrated against them by the Ottoman Turkish government. On that occasion, many countries, including Germany, recognized the Armenian Genocide, while Pope Francis called upon the government in Ankara to once and for all put an end to its policy of denial. Despite the passage of a century , activists will gather on ce again to reiterate their commitment to the Armenian cause and to continue their struggle until justice is fully served. The ANCC is the lar gest and the m ost influential Canadian-Armenian grassroots hum an rights or ganization. Working in coordination with a network of of fices, chapters, and supporters thr oughout Canada and af filiated organizations around the world, the ANCC actively advances the concerns of the Canadian-Arm enian community on a broad range of issues. Le CNAC est l’ organisation canado-arménienne des droits humains la plus lar ge et influentielle. Collaborant avec une série de bureaux, chapitres et souteneurs à travers le Canada et des or ganisations affiliées à travers le monde, le CNAC s’occupe activement des inquiétudes de la communauté canadienne-arménienne.